Description: If a woman takes the first dose of the abortion pill, it is not too late! 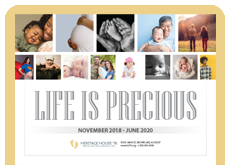 This brochure will explain to them how the pill works, the processes of the abortion, the side effects, and a number they can call to get help. It will help each woman know that she can still reverse the process with the help of nurses and doctors on the Abortion Pill Reversal Hotline. 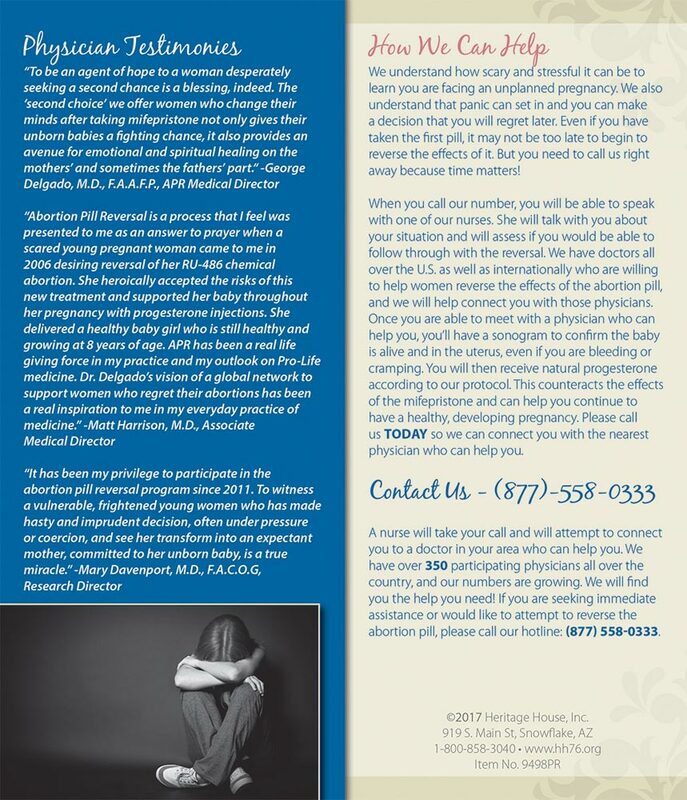 Our center has created packets for each abortion minded client and this brochure is included in each one. We want to be sure that they remember this option, should they change their mind after taking the first dose of the abortion pill. Great resource! This literature is very useful to give to mothers leaving an abortion facility. Many of them have been given the first dosage of an abortion pill! These pamphlets are very informative, professional looking, and exactly what we were looking for. We reach women outside a local medical abortion facility, and many of them leaving will take this from us after they have taken the first pill. Thank you for this product. This brochure is useful not only for learning about RU486 but also for learning ways to reverse the drug. This literature is vital for sidewalk counselors at abortion clinics where the abortion pill is prevalent. 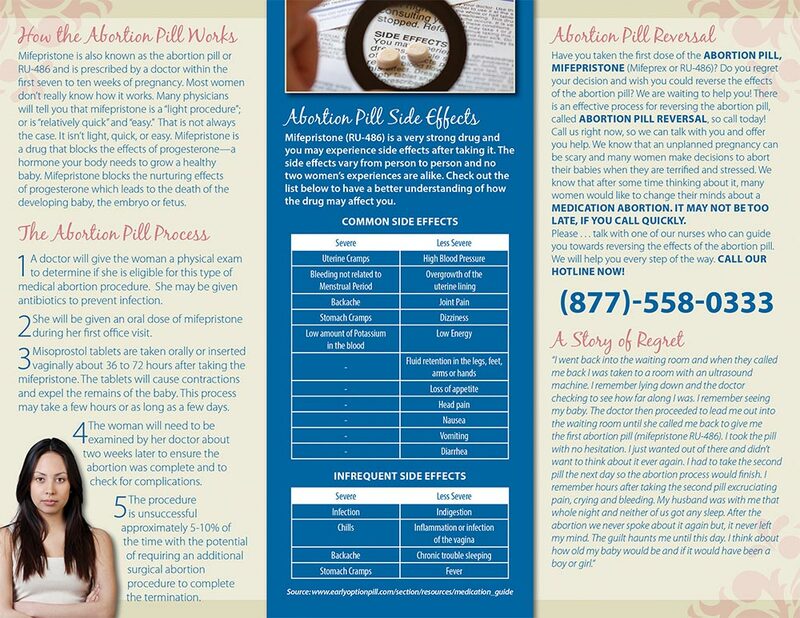 This brochure is small and easy to pass out to women looking to reverse the pill.